No idea what's happening with Griezmann TBH. Firstly, four years is a very long time to be in "transition". Secondly, you never even answered my question. Unless you are Tottenham's accountant I doubt if you have a clue what their financial situation is. Thirdly, your statement could be given for any club, which makes it rather pointless and meaningless. Fourthly, EL is a trophy for smaller clubs (for big clubs not so much as Mourinho has said in the past). Winning the EL did grant an extra entry into the CL for the PL's 6th placed club. Jose Mourinho in dig at Manchester United and Liverpool: 'They are trying to buy the Premier League title'. Hopefully not 25 years plus like Liverpool's! I think Utd are getting there to be honest. And whoever joked that Spurs are a bigger club than Utd is doing just that - joking. By that reckoning Leicester were the "biggest" team in England last year! The biggest teams in the country are Liverpool and Man Utd. Just like Juventus were still one of the biggest teams in Italy when they were relegated - or Rangers in Scotland for that matter. Players like Kane will always consider big clubs like Utd or Real or Barca or Bayern or whoever. Zlatan and Pogba weren't taking a step down last summer, they were both going to another big club to try and win things. And they did win things, more trophies than Messi this season. Yes, Utd aren't at their best, but to say they're no longer a big club is just "my dad's bigger than your dad" playground rubbish. I generally disagree very much with Talent Searcher's biased rubbish, but he's pretty much spot on with what he's said these last couple of days. Why on earth would Kane consider United as a viable option? Tottenham is firmly on the up, and the chances of them not winning a trophy in the seasons to come is very slim. Other top eight clubs really need to watch the space. 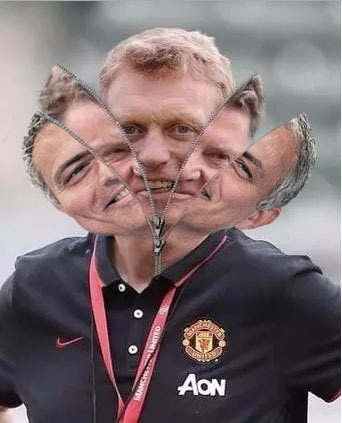 4 years, 3 different manager with different philosophes, ideas and styles. 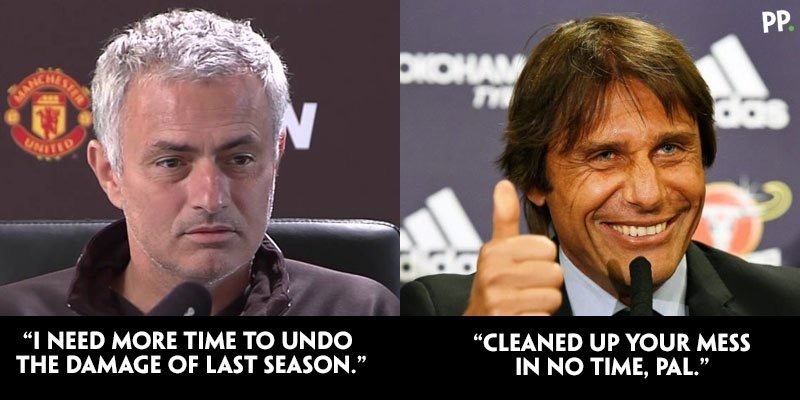 United are hopefully not like Chelsea and sack their manager every 2 years roughly. Everyone knows that Tottenham stadium is costing them £750mil, Accordingly there taking out 3 banks loans totalling £350mil and made £100mil by selling shares. £300mil still need raising. Best Example of a new stadium is Arsenal and look how they crumbled. Pointless and meaningless so you said any club. You think Arsenal can put a big bid and offer huge wages for a player like Kane? Also Tottenham DON'T have the wage power like United, City etc that is why Rose, Walker, Dier have been linked for a move away. Imo I rather of won the EL cup than finish 2nd, 3rd or 4th as It is a trophy and secondly when people look back they don't think of the teams who finished 2nd-4th, they think of winners. You bring up what Mourinho said in the past but did Mourinho put them in the EL? no LvG did. Man Utd need to fix the last 3 years(Moyes, LvG years) and with Mourinho, he is building something good in my eyes, just need that goal scorer and United would be a big threat. For the same reason that so many other players leave clubs like Spurs and go to "bigger" clubs. For the same reason that Mkhitarian, Pogba, Zlatan, Di Maria, Falcao and so on chose United ahead of other sides - or the teams they were already at and were having success with! Different story when they come from another league. Plus, besides Bale and Modric, which other mention-worthy players have left Spurs to play their game elsewhere, especially for another English club? Well I'm just watching the Michael Carrick testimonial so that's one! Teddy Sheringham left in search of trophies and got them. It's only the last 2 or 3 years that Spurs have been at this level really though, before then, pretty much all of their world class players would leave if a better offer came along - and I wouldn't be surprised if others do (Alli, Dier, Kane etc) in the next season or two. In fact Dier and Alli have both been linked with other ("bigger") clubs this year. Let me throw in Berbatov there too - and that's just a few who left for Utd in the PL era off the top of my head. Should have added *when they were serious title contenders. With the likes of Carrick, Berba, etc. they were never in contention for anything major. Plus, even with Bale and Modric, they only ended in the top four once. And one could still argue that Levy absolutely fleeced Madrid with that Bale deal. This Spurs side is arguably the best in their history; why would Kane want to leave it? Yeah I agree with you on all that - it's a great side, but players get lured by the chance of playing for bigger clubs though. I don't know if Kane will, but some of them will. Kante left the title winners and the chance of CL football for a team that finished 10th... it was a move to a bigger club, simple as that. Plus, over the past three years, I'd definitely not say that United have been "bigger" than Tottenham. At the end of the day, football is about what you produce at the moment, and unless we start delving into history, Tottenham's football has been exquisite since Pochettino has settled. Wouldn't want to talk about history anyway, as that would make "us" just as bad as the Liverpudlians. But as you say, some will inevitably move - some for the club's history, but others mainly for financial reasons (which is something I also wanted to add to the examples of Pogba, Falcao, etc.). And honestly, I doubt Kane is one of those. Plus, over the past three years, I'd definitely not say that United have been "bigger" than Tottenham. But as you say, some will inevitably move, mainly for financial reasons, although I doubt Kane is one of those. Kane might not be, but if Spurs win nothing next season I think he'll move. Spurs have been better overall than Utd the last couple of seasons, but they're not a bigger club by a long way. Mouyes isn't a long term manager. He's great for short term succes but as history shows he never sticks around. His first year (of his most recent stint) with Chelsea was also much better than his first with Man Utd's most expensive squad ever. At Chelsea, IIRC, his "little horse" was immediately challenging for the title for most of the season (ending that season only a few points behind the champions). By the 3rd year he usually is gone. Here have another pic, a Mouyes one this time. Also, I wouldn't call it building something good when Money Utd are just buying any player they can convince to make the move. Money Utd need to fix the last 4 years now (not 3). 6th place this year, remember, isn't a better finish than last year or the year before that one and it's hardly an improvement on 7th place 4 years ago. ATM Money Utd donot look like they'll be challenging for top honours while the big sides in Europe can virtually guarantee (relevant) silverware. Best to add another big money transfer. I guess that can be viewed as a prize, of sorts, and it will keep their customers happy. Anderlecht weren't even interested in the EL as they had a very good chance to win the title, admitting in the media the title was their priority, and they'd still gain entry into the CL via their domestic competition. Just look at how they rotated their players over the two matches against Money Utd (in which they only needed to score 1 goal to advance while I expected Money Utd to win by much larger margins). Money Utd spend more on napkins in a year than Anderlecht's entire budget for the last 10 years. Ajax's players were mostly schoolchildren that, reportedly, needed to study for their exams. Be honest, do you really think Money Utd's EL run was impressive? Yes, LVG got them into the EL, however Mourinho kept them in. FYI it was shortly after winning the EL with Chelsea that Mourinho said the EL isn't a competition for big sides. Adding that big sides belong in the CL and should leave the EL to smaller sides. A bit arrogant but there's a truth to it, a "pick on somebody your own size" sort of truth. He must have changed his mind, I guess. PS "just need that goal scorer and United would be a big threat" sounds a lot like what Liverpool fans always say: "next year will be our year". Ibra was doing his job but TBH even before his injury he wasn't exactly threatening to become top scorer. Griezmann isn't an out-and-out striker and besides he isn't moving this summer. Who is the best Money Utd can realistically get?